I am not too brand fixed when it comes to shampoo & conditioner. Apart from the fact that it should do something for my dry & brittle hair, I don’t have too many demands. I’m simply not too finicky when it comes to haircare products. As a result I change up my routine ever time I run out of them. When I tried the Oil Nutrive Wonder Serum spray by Gliss Kur a few months ago, it spiked my interest in the rest of the range. So when I found the shampoo and conditioner at a discount drugstore, the choice for my next shampoo and conditioner combo was easily made. 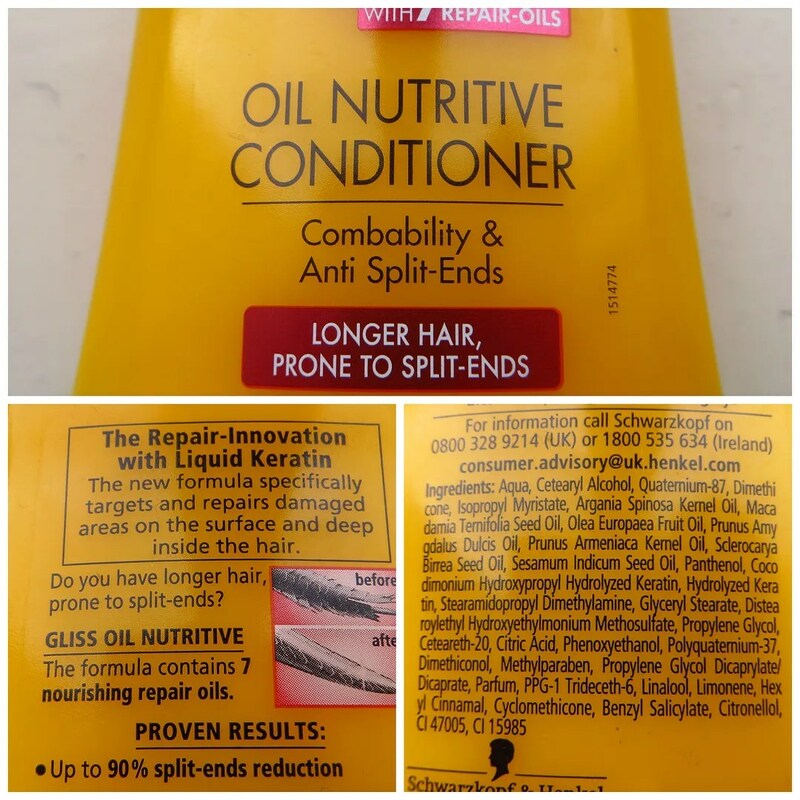 Like the Wonder Serum spray from the same line, the Oil Nutrive products are geared towards long hair that is prone to split ends and an overall dull look. My hair is longish, and usually dry and brittle. I have been using haircare products aimed at nourished hair for a while now and have found it really helps. The downside is that many products of this type can lead to heavy hair that sags down quickly. Since my hair is naturally wavy, and my wish to keep it looking like that as long as possible, my shampoo and conditioner shouldn’t just nourish my hair but not weight it down as well. Do you have longer hair, prone to split-ends?… The hair repair formula with 7 nourishing repair-oils targets and repairs damaged areas of the surface and deep inside the hair. It reduces split-ends up to 85% and provides a healthy shine from root to tip. 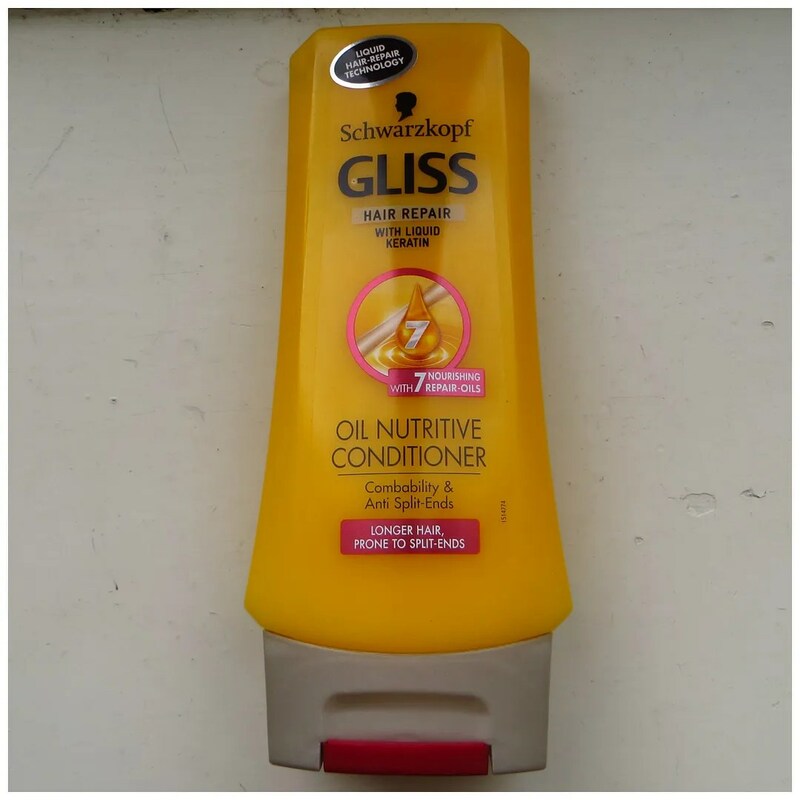 For best results use with Gliss Oil Nutritive Conditioner. When it comes to the information provided, I can’t really say much other than that I think it works. My hair hasn’t gone very dry, but still feels nourished. I had it cut in the mean time, so that definitely helped too. In any case, my hair isn’t getting worse and I think that’s a good sign that this shampoo does what it is supposed to do. This shampoo does contain SLS, but the promised oils are high on the list. Argan oil, macadamia oil, almond oil, sesame see oil and three other oils for which I do not know the Latin names. There is liquid keratin in it too, roughly halfway through the list. So the promised 7 oils are there, and they are also high up the list. But despite the oils in here, the consistency wasn’t what I had expected. 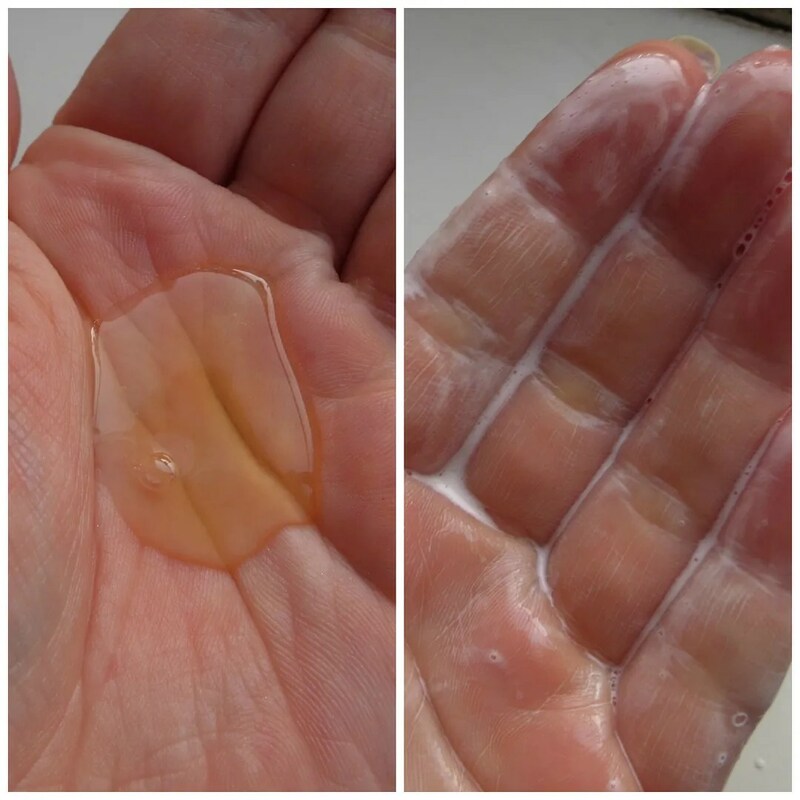 I had expected a thick and gloopy consistency, like the L’Oreal EverRiche shampoo I reviewed last August. Alas, it is very watery and thin. Not what I had expected, but it might still work right? The smell is a little peculiar too (I can’t put my finger on it exactly) but nothing too bothersome. Despite the oil in the shampoo, this product doesn’t feel oily. So that’s a good thing. When trying to foam it up, it foams up more than any nourishing shampoos I’ve tried before, but it’s less than a regular shampoo. 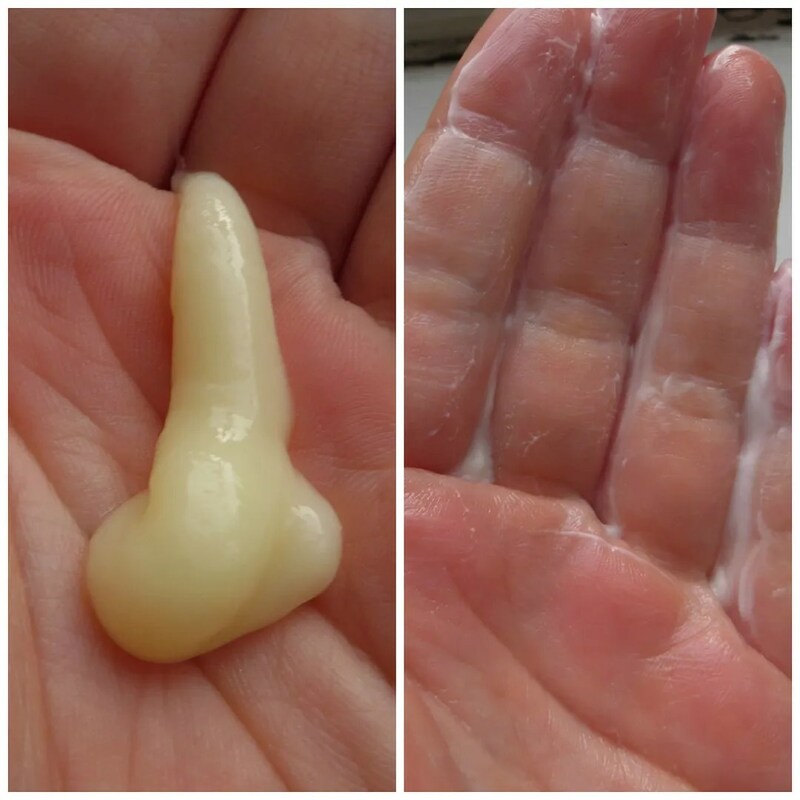 I’m sure that’s the SLS in the product. It cleans well, but doesn’t seem to damage my hair. I think this shampoo holds a nice balance between stringent cleansing and nourishing moisturizing. 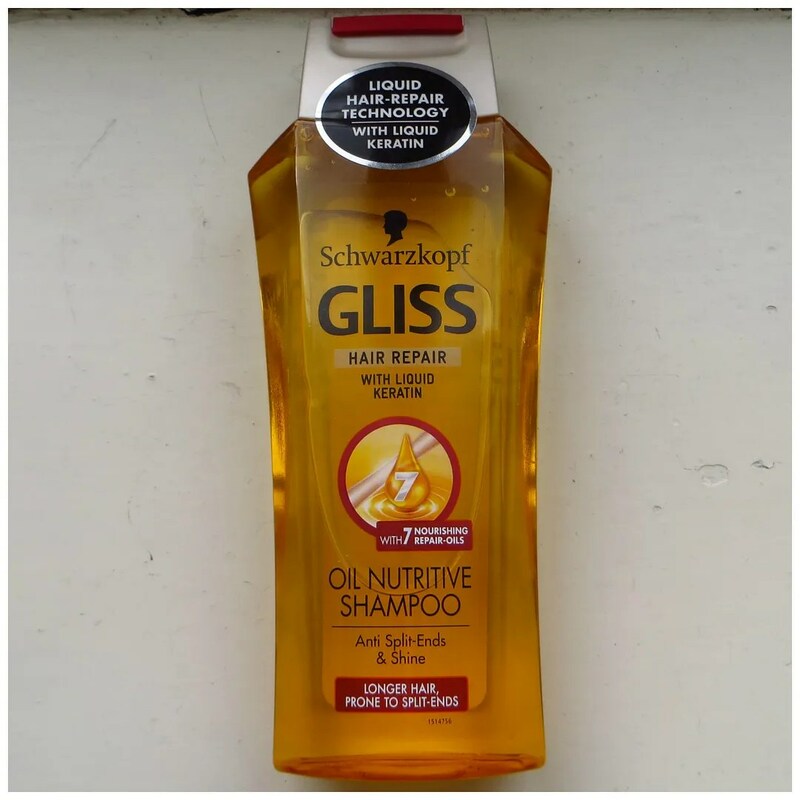 The Gliss Kur Oil Nutritive unique care formula with Argan and Shea Oil protects and restructures the hair, preventing split-ends. The combination of ingredients gives a double action result, leaving hair softer and smoother, while the repair complex makes hair more resilient. The promises for the conditioneer are similar to the ones for the shampoo. But in addition to the shampoo, the conditioner should make your hair more resilient on top of making is smooth and soft. And I definitely feel that this conditioner is doing its job. But how my hair is supposed to be more ‘resilient’ beats me. Resilient to what???! The conditioner has an even longer ingredient list than the shampoo. 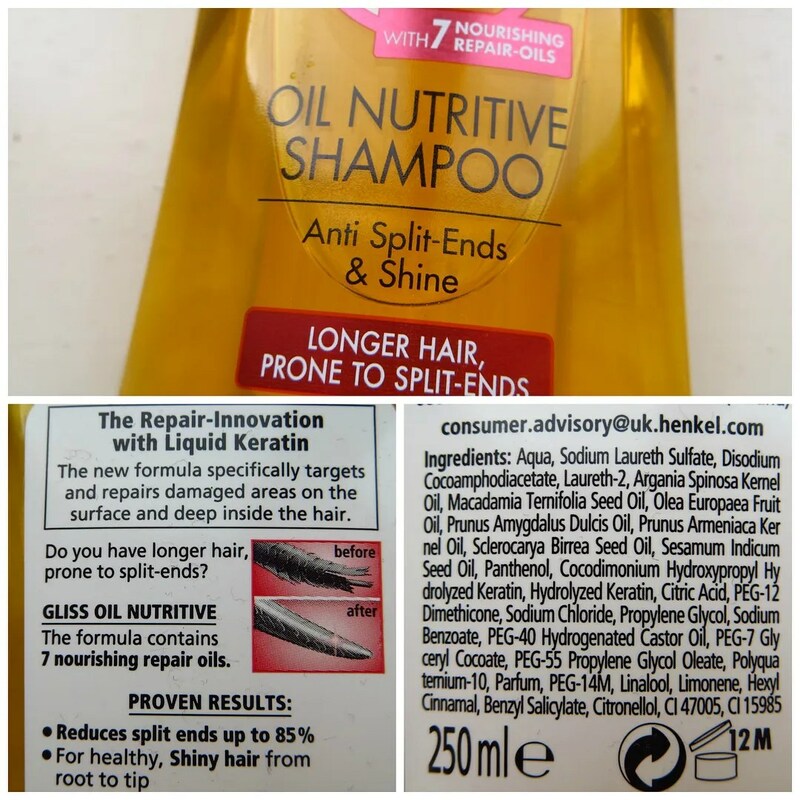 But apart from the expected silicones, this also has the 7 oils & keratin, just like the shampoo. Again it has that same strange scent as the shampoo that I cannot place, but that isn’t nauseating or annoying. The conditioner is also what I had expected it to be. This conditioner is a thick and creamy product. That doesn’t foam up but that does definitely make a nice lather when it comes into contact with water. I leave this in my hair for a few minutes before I rinse it out (like always) and I feel it really really works. The combination of the shampoo and conditioner works like a charm on my hair. My hair soaks up the ingredients nicely and it leaves my hair feel nourished and shiny. Combined with the serum spray I feel I can now do without using another hair oil to nourish my ends. And that is a first. However, there is one big but in this otherwise raving review. For some reason, unbeknownst to anyone other than the people at Gliss Kur, the conditioner contains 200 ml whereas the shampoo contains 250 ml. And I use more of the conditioner than the shampoo too. I’ve been using this combo for a few weeks now and my conditioner is already halfway gone, whereas only a third of the shampoo is gone. Big huge fail on the part of Gliss Kur. If these products would come packaged in the same amount and would run out at an equal rate, this would have been a great product. By now, I’ve decided I will not repurchase this because I don’t see the point of using the shampoo once the conditioner runs out. 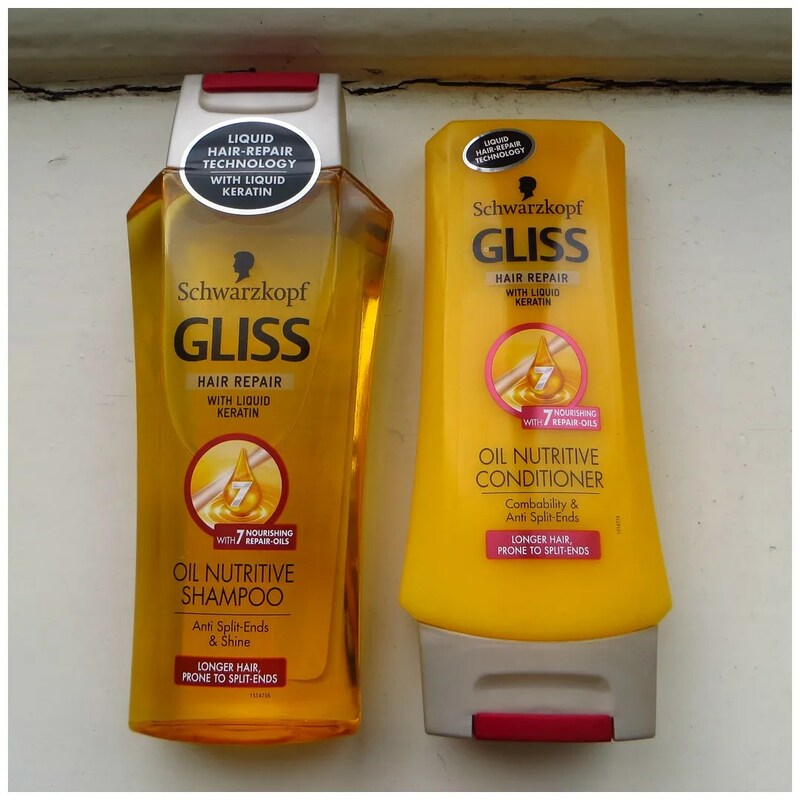 The Gliss Kur Oil Nutrive shampoo and conditioner retail for €4.99 each. You can find them cheaper at discount drugstores. Ik heb deze ook gehad, erg fijn product! Ja de shampoo en conditioner doen zeker hun werk.